The Central Authority for Internet Control (CAIC) announced today that they plan to make English the official and obligatory language of the Internet, and that by 2010 all the web pages should already be using English exclusively. Currently the different languages used on the Internet make it difficult both for search engines and human users to find and compare information across different sources. We know that the migration towards a English-based web will present challenges, but we believe that it is a move in the right direction. Personally I think that this is a stupid regulation. They will force people to translate their web pages? What if someone does not know English? There are many problems involved with it, as you can see. Time will tell if they will manage to make this effective or not. If you have a website that is not in English, however, it would be a good idea to start talking with your hosting provider to see if they will comply with the new regulation. 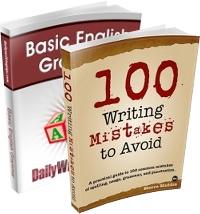 If so you will need to start translating your pages as soon as possible. I also heard that accessibility proponents had added a stipulation that all web pages be rendered exclusively with text – no images, no flash, nothing else was to be allowed. Sorry, but I think that this plan is a bad ideia. Each country has its particularity in express the language and writing. Make it a default for all people, is a way to limite the web. To date, the web is a great way to express and we have to turn it, more unlimited each day. I defend a democracy. If more sites turn the english content a part of the all content, we really can look a progress! Happy April Fool’s day, dude! Please tell me this is another April Fool’s day joke. I’d rather be fooled than this be true. Ok, let it be known that I am happy that I was fooled. I’m calling “April Fool” on this one too! I’m a jackass! The first comment in english here and I’m backing really ashamed. You had me going too! I was about to launch an attack! HA! I knew that couldn’t be right–then I remembered today’s date! Still, there was a millisecond where I flashed back to a futuristic movie I rented last night where the government required an i.d. and password before you could access the Internet! Great post. In case this isn’t an April Fool’s Joke (because this reminds me an awful lot of “No Child Left Behind,” where a rule was made, but there was no money to enforce it, and it didn’t do what it intended because the State was allowed to dumb down the test for the kids or even teach to the test), who’s going to enforce this?! Lyke srsly! Sounds like a great April Fools Day article! EVERYTHING should be in ONLY English. It infuriates me when instructions, labels, etc. have everything in spanish as well. NO HABLA EL CRAPOLA!! Lovely, but sorry to say I was only very briefly fooled. See Delanceyplace.com’s post for April 1st for this year (not posted to their homepage yet) for another great one. 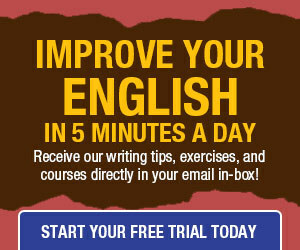 If this is true, then all non-English bloggers should subscribe from Daily Writing Tips…lol! Seriously speaking, I think this is another good example of discrimination. I wish this can’t be true. Sounds like the proposed requirement that all programming be in English. They discovered that programmers don’t know English! Forget the Internet, if you can’t read it move on, they’re not targeting you anyway. Now, make this an American law for ALL *brick&mortar* establishments, and I’ll sign in. Argh! U *finally* gt me!!! I quite agree, this is why I am writing English online, although I am from China. I will continue to use English. I may make some grammatical mistakes, but I won’t quit. I think this is defintely a bad and discriminative idea. It will most certainly limit the benefits of the web and blogging to many around the world, also it is as if they are imposing upon all people that they must learn English, and very well. Yes, English is the most widely-spoken language of the world, but it doesn’t mean it should be made obligatory on all! I hope that at least they would say, ‘ okay, keep your own langauges, but also make the option for the site to be read in English’, I think that would be a much better way than simply demanding them to delete their preferred native language for one they do not know that well. Have you noticed though? we are starting to be controlled by many means, with all these i.d cards, and tracking devices, our liberties are also slowly being taken away from us, and we are guided to accept and agree with ‘the people with all the power’. Anyway, sorry to ramble on, I love this site! keep up the very informative and good work! thank god! english is not made the officially obligatory language of speech for every living tongue, present and future. on second thoughts- yes, let every tongue easily communicate with every tongue, in which other language but english! Hey people, Happy April Fool’s Day! !